Masavu head coach Alex Gita expects his team to put up a good show against Proline. FOOTBALL–After scrumbling to a 0-0 draw with only 11 players and no substitutes against Onduparaka in their opening game, Proline whose entire squad has now been cleared by FUFA, return to action against Masavu FC at the StarTimes stadium in Lugogo. The Mujibu Kasule coached side have only one injury concern as midfielder Nuldin Bunjo has been ruled out. “Most of our players are in good condition to play and those that did not feature against Onduparaka have been cleared as well,” Kasule said. 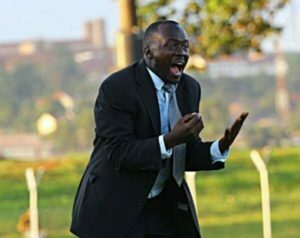 “We expect to build on the point we earned at Onduparaka and turn it into three on Saturday that is if Masavu can sort their licence issues and turn up,” he added. Masavu didnot play their first game against Police FC on Tuesday due to lack of licences resulting into the Uganda Premier League awarding three goals and points to the Law Enforcers. “It is good all the licence issues where sorted and now Masavu is ready to kick start its campaign,” said Masavu head coach Alex Gita. “It is not going to be an easy game because of the artificial turf at Lugogo but we will try all we can not to loose a second match in a row,” he added. The Entebbe based side will be without Ddumba Sadala who sustained an injury in training but the rest of the squad is available. Proline started the new season with a goal-less draw at Onduparaka while Masavu lost 3-0 to Police. This is the first meeting of both clubs in the top flight. Their only previous two meeting happened in the second tier(Big League) with either side winning 1-0 at their respective homes. Proline have not won any of their last two opening home games in the top flight (D1 L1) with the draw coming at the hands of Express last season.